Unit has remodeled open kitchen and retiled bath, new large format floor tile cascading out to the balcony with a beautiful view on the lake. This unit sits straight on to the lake view and a view of a 2nd lake to the left of it. 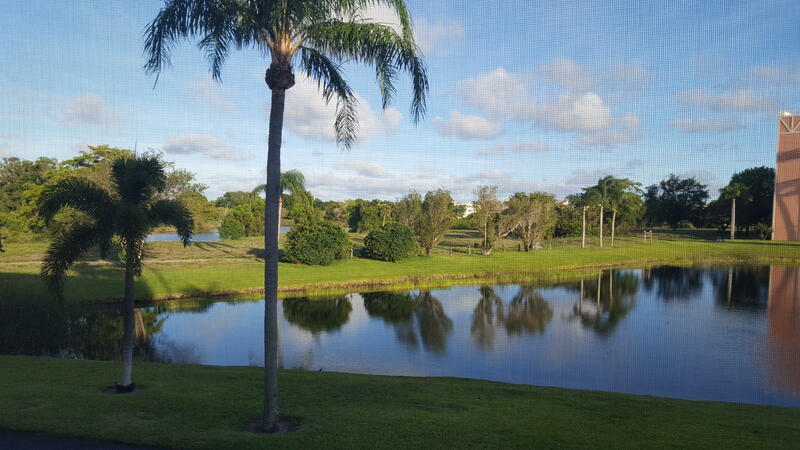 A walking path is being installed around this second lake.Two walk in closets in master bedroom.Rolladen hurricane shutters on balcony.This unit can be rented out immediately after purchase, if desired.